Much has been said elsewhere about The Toaster Project, which I’m really pleased about! I’ll not try and reproduce it here, except to answer some questions and criticisms (which for the most part are totally welcome). So, firstly, yes, I realise toasting bread over a fire would’ve been a lot easier. 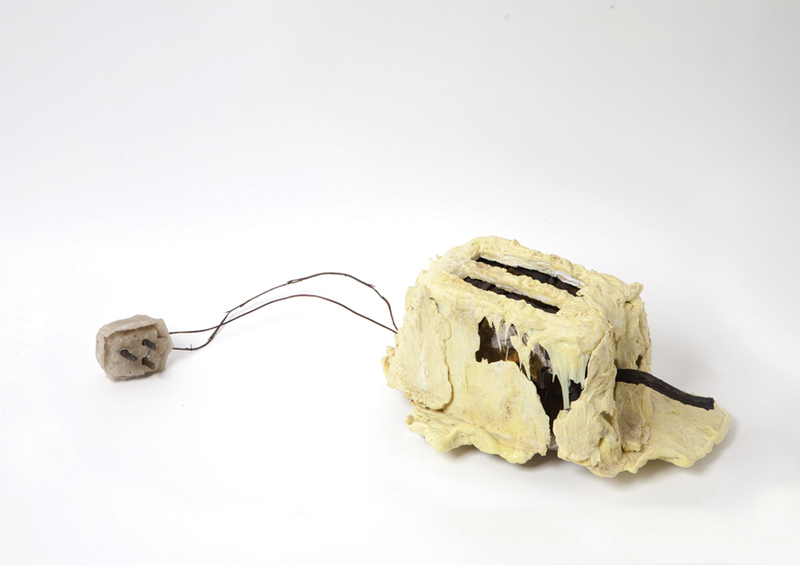 But was a piece of toast (or designing a better toaster) really the point of this project? Secondly, yes I realise I cheated quite a lot! Though I really did naively set out with the intention of only using pre-industrial tools and methods, I soon realised that a) it was impossible, and b) by taking things like trains, or using wikipedia, or even not making my own shoes for walking to a mine, I was already in a sense ‘cheating’. In the end my view is that it’s the cheating rather than slavishly following the rules that make the project more interesting, and lead to discussions of questions other than whether it’s possible to make a toaster alone. Thirdly, I now know about the essay I, Pencil, written from the perspective of a pencil ‘as told to Leonard E. Read’, and I think it’s fantastic! 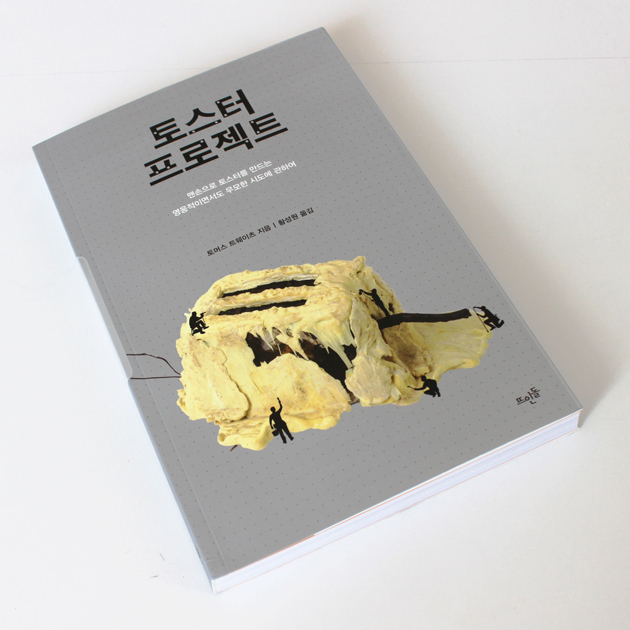 There is a book of the toaster project, published by Princeton Architectural Press, and which has Japanese and Korean editions! The ancient original site for the project is here: www.thetoasterproject.org. I also did a TED talk about the project, and it’s been watched over a million times. Yowser. 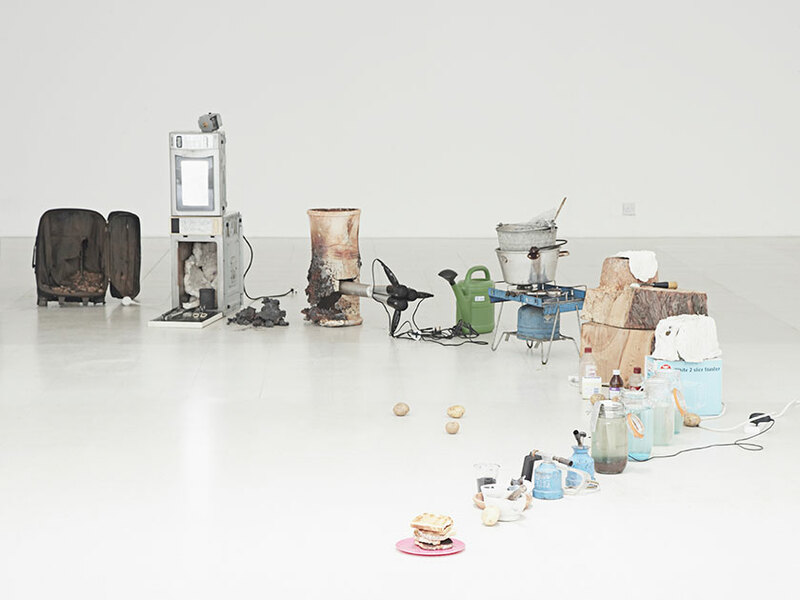 The Toaster Project is an inspiring piece of work. I particularly like the pricetag on the last photo. Check out our comments on our blog. It is always intersting googling your name and seeing what comes up. I like the work you have done in the toaster project, it gives something as ordinary as a toaster an interesting side. I loved your Ted Talk on your toaster project! I am an instructional designer living in Toronto, Canada. I am showing your video next week in a lecture I am holding on the innovation of the creative process at my work. I found the journey of you and your toaster very inspiring. And from a consumer’s prespective, terribly humbling! Great TED Talk! I’m actually working on a project very similar to this one. You have a great perspective and are an inspiration dude. I saw your talk on TED and latter a story on your policing genes on the NPR site. I loved this project and the Douglas Adams quote. I heard about your book on NPR this morning. At first blush its an interesting idea. Though carrying it further if you are bound and determined to make an electric toaster from scratch, would you not also have to generate electricity to power it? People have toasted (and baked for that matter) bread for centuries long before electricity was conceived. Somebody looking to toast bread without a fixation on imitating a modern appliance would not think about extruded plastics and nickel heating elements and electricity. They would think bread plus heat. What is the easiest way to evenly apply heat to a slice of bread with materials at hand. Manually turning a slice of bread seems less efforts than trekking to Siberia for nickel and inventing electric timers. Early factory manufactured toasters before age of electricity, were basically a metal rack you set over your wood or gas range burner. You watched and you turned your bread to get even brown on both sides. I once had a cheap camping version and wasn’t too impressed. What works even better is a simple cast iron skillet heated however one deems practical. Toss slice bread in and then turn it. Does nice job. Pretty simple mechanism that would last several lifetimes. though I suppose a flat rock over a fire would do about same thing and you wouldn’t have to track down any iron ore. Think of a rock simular to modern pizza stone. I will say as far as cheap electric toasters go, they are cynically made with a very short lifespan like many modern products. Long ago when it became obvious I couldnt buy a durable electric toaster that didnt smell like hot plastic (had handle melt on one) and that would last more than couple years, I first tried the wire toaster rack sold for camping, then settled on just using a cast iron skillet that potentially could last many lifetimes. I know, I’m a neo-luddite for not supporting modern capitalist system of buying more and more specialized stuff over and over again. Just read your book and loved it ! i probably learned more about the material you used in this one book than i ever did in school , which is a little sad and tells a lot about the way we learn… completely detached from the stuff we are learning about. Great book and very witty , made me laugh a lot . good luck with your other projects. Fascinating. You said somewhere that it was every boy’s fantasy to make X from scratch. I know I was one of those. I was in high school when I read a sci fi book of some characters marooned on a planet (or moon?) who had to make everything from scratch so they could leave again. I mentioned it to my Dad, and he hunted up I, Pencil, and I realized how unlikely it was that I (or they) could do it. Now that you have experience with the actual attempt to do these things, how much do you think Reed left out of his article? I loved the book. I got it as a very thoughtful birthday present. Did you start out with the environmental message in mind, or was it just to see if you could do it? Your mother and your buddy that went with you are rfeal troopers. Hi Kevin, Thanks! I knew the project would touch on issues of consumerism and the environment and so on, but considering I didn’t even think I would write a book when I started to try and make a toaster, I guess I didn’t start out with an overt ‘environmental message’… Writing things down in a book is quite useful though as it brings these things out. I LOVE what you’ve done and the TED talk was great. I think a bigger version of this project, involving everyone in linking techniques and technology together, looking up historical method and building a kind of tree of stuff you need to find, information and methodology etc. would be incredible and may serve to revive civilisation in case of a global disaster! Just saw the TED talk for the first time regarding this fascinating project. As a designer I can completely understand the thought process of “can I build this from scratch”. Looking forward to your book which I have just ordered. One question does puzzle me though. 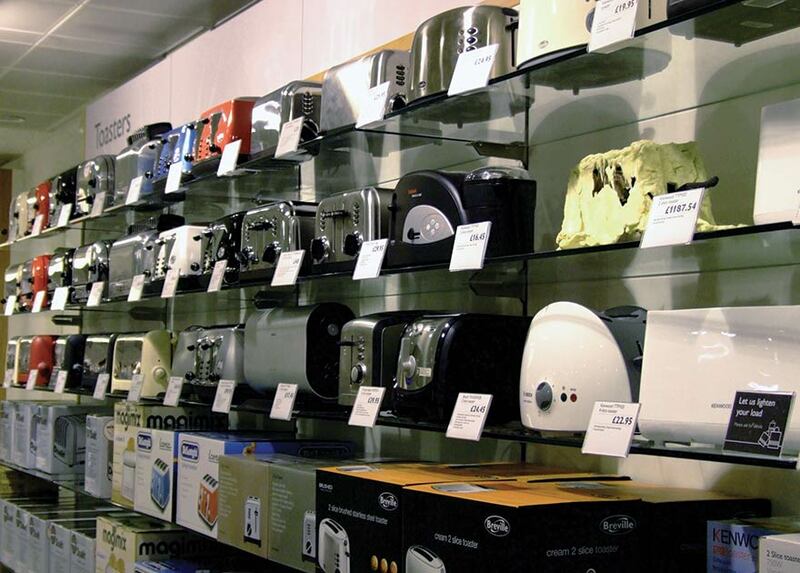 Why settle on a “contemporary mass produced toaster” rather than a mass produced toaster from the early part of the 20th C. The earlier toaster would still relate to consumerism and the desirability of objects without fully comprehending how it is made, yet be constructed in a manner more akin to your required task. Nevertheless, well done. Have you ever thought about fabbing a toaster from scratch? (Using 3D printer technology to create all of its components and then assemble it) I would love to hear your thoughts on this. Well, printable electronics is on the horizon, and I’ve even seen a printable heating element technology (… http://www.2dheat.com/ … well, ‘spray on’), so I think a printable toaster could just about be done! I read your account in order to stay abreast of my students for whom it is summer reading. After four hours of reading I am inspired and am sure the students are as well. I think I might cycle to a lake, throw my bike in and build a refrigerator! I was asked to read your book for my school and I wanted to ask if your toaster still works today. If not, for how long has it been working? Did you use it on a daily basis or rather put it on the shelf as decoration? Hi Zoe, well, I’m afraid when I plugged the toaster in to being toasting (extremely dangerous because I’d not managed to make any insulation for the wires) the element got so hot it melted itself! I had some warm(ish) bread though). (Sorry it’s taken me so long to respond – I’ve had some issues!). I just heard you on the TED Radio Hour today on NPR and then came home and showed your TED talk to my kids. I’m so inspired – I’ve always thought about doing something like this but never actually thought I could do it! My oldest child recently asked me how a motor works and how they are made – I didn’t even know where to begin to answer the question. I think we will be doing some hands on research though and giving it a try! Also, my grandmother was a geologist and seeing you collecting materials reminded me fondly of my youth, when we would go to the copper dump and search for bits of cast off copper. Thank you! I found your toaster projct book in Japanese edition at Kyoto prefecture library in Japan. I realized that almost all the convienient things are made by the mass production technologies. The project let us know the amazing technology and development history, and problems facing our important natural environmet. I don’t think I would like to work on a sequel to the Toaster. I still like the project, but you know, can’t revisit it yet… Not until something changes. ps. Sorry for the year delay in replying to your comment. I’m an old email man. Yes lets chat. Are you in London… email? I was reading about your goat project and it intrigued me, so kept clicking through and ended up here on your website. I read The Toaster project last year and have found it one of the best conversation openers. I find your work fascinating. 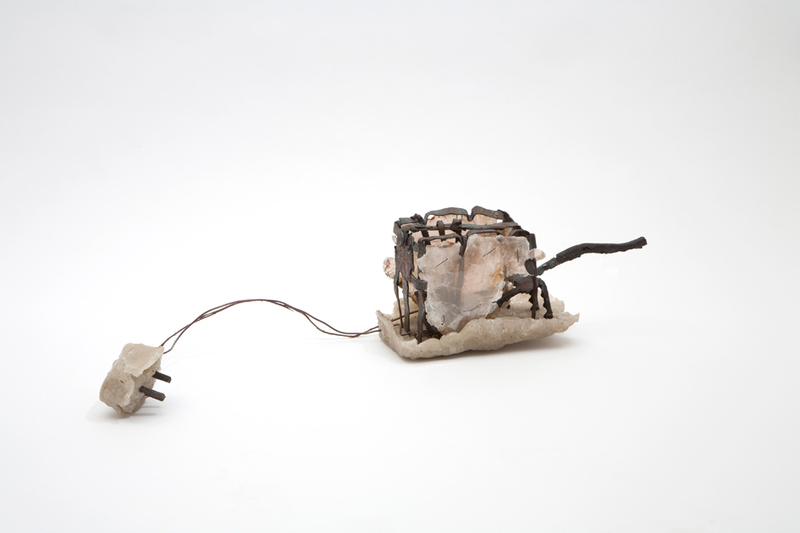 I work as a jeweller and am investigating biofeedback devices and ways redundancy can be combated by object values. There are some examples on my website if you get a moment to have a look. It would be good to have a chat sometime. I just had a conversation with a genius friend called Alvaro Cassinelli @alvarotwit. He has written a short story imagining how long it would take you to make a smartphone if you had absolutely all the knowledge and skill – the limiting factor becomes how quickly you could move. I really really doubt that in one human lifetime, even with perfect knowledge, you could build a smartphone. Let alone a toaster. I received this book as a gift…. Which was the best thing that ever happened. Your book opened up the areas in my brain that are shutdown by boredom of routine. Now cant wait to start with Goatman. You are the coolest !! 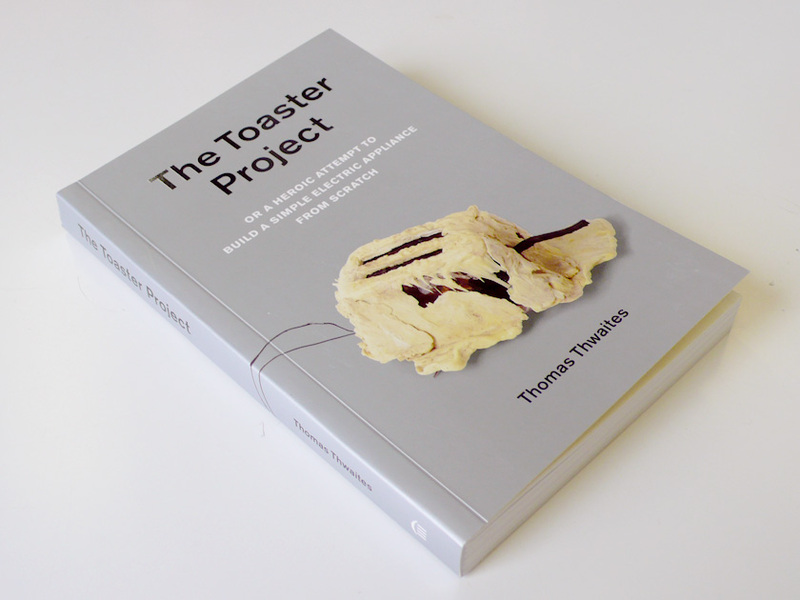 Just finished “The Toaster Project” really enjoyed it. You are a very good writer. I like that your toaster looks like it is made of melted cheese. Funny and thoughtful book. Made me think about were our stuff comes from. I liked that you put in a Hitchhiker Guide reference. In the 80’s my husband and I had just read HG. We thought the line that the rest of the universe looked down on earthlings because we thought a digital watch was the most amazing thing was very funny. We are then at a fast food place and start to talk to an older man he points to the digital watch on his wrist and says ” You know I think this is the most amazing thing”. It was hard not to laugh out loud. I work with Sam, who is a great fan of your work. Can you reply with a “Hi Sam”? 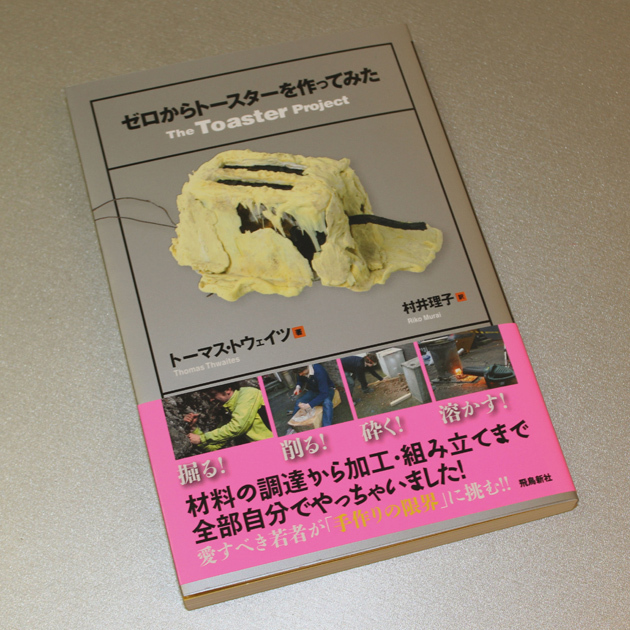 I enjoyed reading your book of “The Toaster Project(Japanese ver)”. I’m so impressed by your doing. I also have a big passion for my future. You and your book will help me when I suffer. Thank you.